What are your moving and storage needs? Federal Companies has a storage solution for your household, commercial goods, products, medical records, documents, and more. Whatever you need to store, we can accommodate your goods within our 500,000 square foot modern, immaculate warehouse. Our climate controlled storage will keep your item safe and secure from many different types of damage caused by changes in the temperature. We also have other warehouses located throughout our network to ensure a convenient, secure climate controlled storage service for your exact requirements. 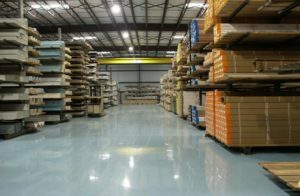 Warehousing and Distribution: Outsourcing your warehousing and distribution to Federal Companies means you can concentrate on your core business while converting many of your fixed costs to variable costs. Document Storage: We have your document storage solution at Federal Companies. Third Party Logistics: We are your single-source third-party logistics provider. Medical Storage: Our medical storage services are secure, confidential, clean and cost-effective for an ideal solution to your storage needs. Records Storage: Federal Companies has your records storage and management solution within our expansive, state-of-the-art climate controlled storage facilities. Federal Companies strives to bo one of the number one moving companies customers trust in the Chicago area. For that reason, we have become your one-stop provider of full service moving and storage services. Contact us today to find out how we can provide you with a storage solution within our state-of-the-art storage facilities. Get your free moving and storage quote today by filling out the quick form featured on this page.